Happy Belated Valentine's Day from Red Couch Recipes! We hope you had a wonderful day. This was my daughter's Valentine box from last year. 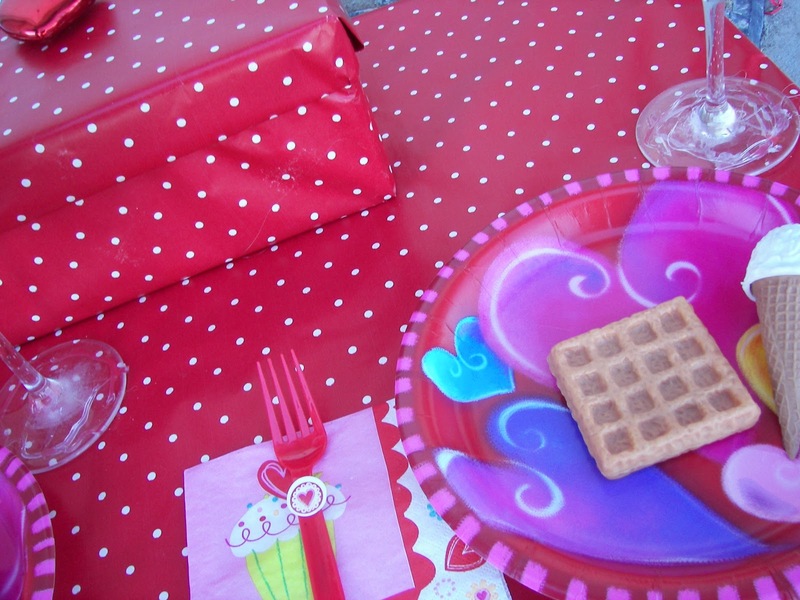 She made a romantic Valentine Breakfast for Two. 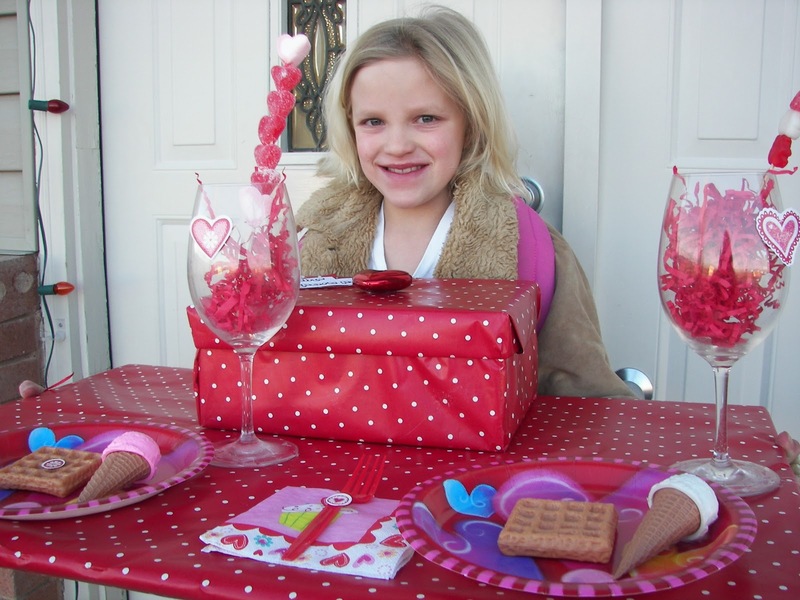 Each year at her school, except this year, they hold a Valentine Box contest. She did win some kind of award for her tablescape last year. How would you like waffles, an ice cream cone, and candy skewers for breakfast? This year the school did not sponsor a Valentine Box contest; I guess it was good that she did it up big last year. 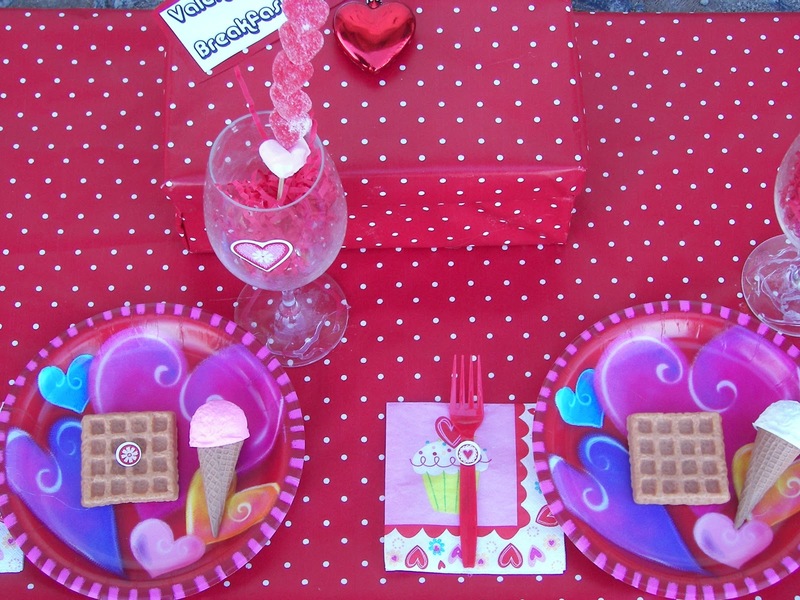 I am posting this with Tablescape Thursday. I bet there are no other tablescapes like this one posted! I think I might enjoy that for breakfast! Your daughter did a great job. That is adorable, and so is you dau! Yes those are your Ethel Ms so you better get them before they go stale. Call at the cabin. What a cutie. Love all of the polka dots. What a great splash of color. I love polka dots. She deserved her award. So glad to see you're bringing up another generation of tablescapers. Waffles and ice cream...the perfect breakfast! She did a really good job! So fun! Why don't you link this to Seasonal Sundays this Sunday. She is so pretty and this is really cute! I remember the days of Valentine boxes...I miss my kids being young! It really enjoyable blog for valentine special.I like this valentine box and different breakfast items.It all different and amazing.